Captain America: Winter Soldier Expo. “USA! 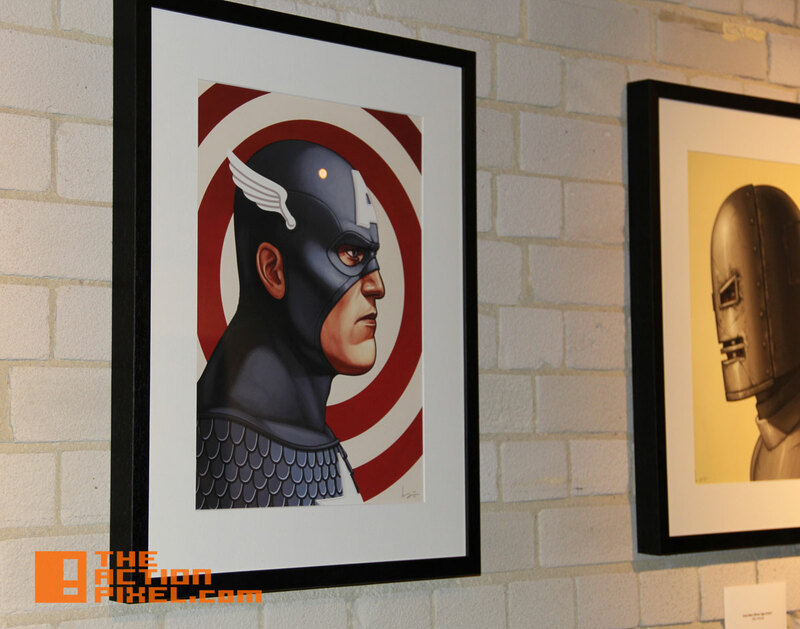 USA!” I awkwardly chanted as I entered an underground POW dungeon gallery to view some @Marvel creations. 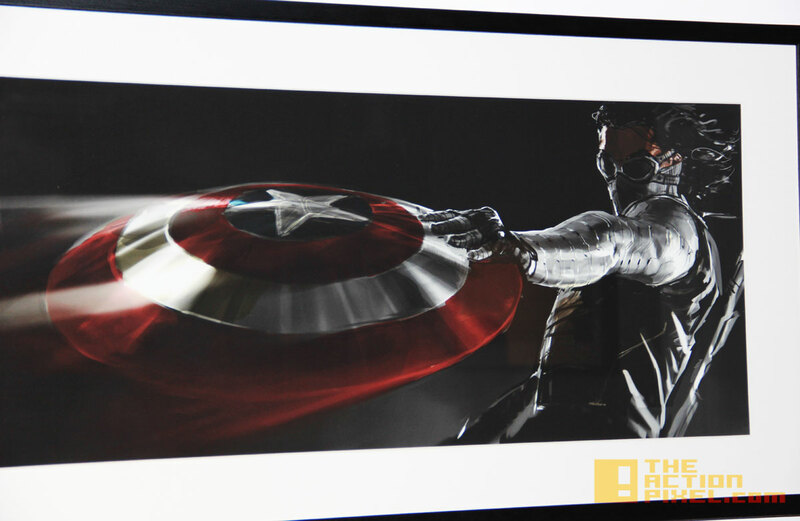 A collection of Concept Art put on by Disney / Marvel to celebrate the release of Captain America: Winter Soldier on BluRay. The exhibition was only for two days on the 17 & 18 of August 2014 at Forge & Co. in the home of hipsters and pseudo-fashionistas- Shoreditch, London. For a Marvel gig, it was a bit lacklustre (hurray for stepping your game up Britain). If it was not for a fully-sculpted Groot and Rocket made out of Lego at the entrance, I may have walked pass the whole place. But it was downstairs where the magic was. Humble magic. But magic nonetheless. Some very impressive art from Rodney Fuentebella. Very stunning images. Depth of field, lithe yet detailed concept artwork inspired by the Cap’n. Subtle frames caged simulacrums of motion, energy and vigour. I particular enjoyed the image of Captain America’s Superman-eque charge against the direct mortar round. There was also other artwork from Matt Ferguson which felt more like war / propaganda posters than concept art for film development, which they probably were. Or that was the intent. Although technically Captain America screams ‘jingoism’ a lot louder than the Guardians Of The Galaxy and The Avengers combined. 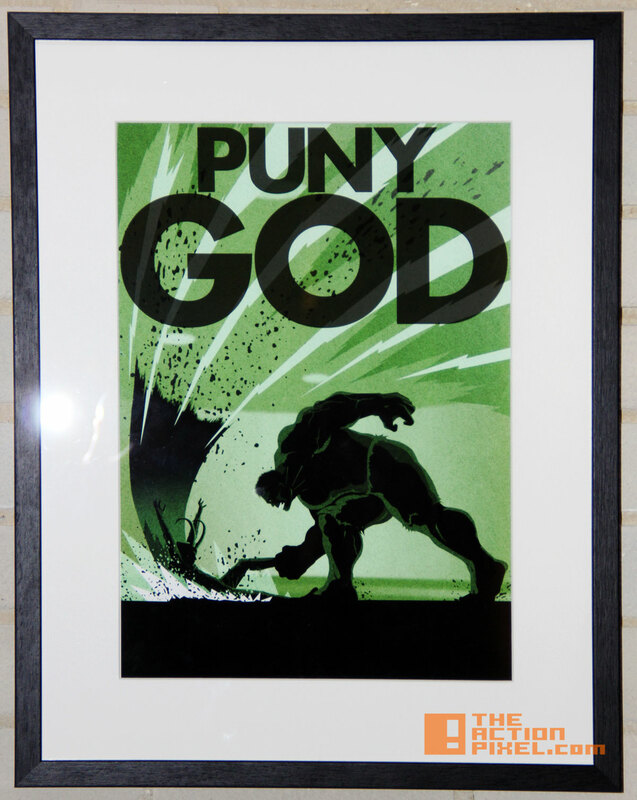 I’m a bit biased I guess, but who doesn’t like seeing the Hulk give the ol’ one two to a puny god. I pray to the mighty green one now. 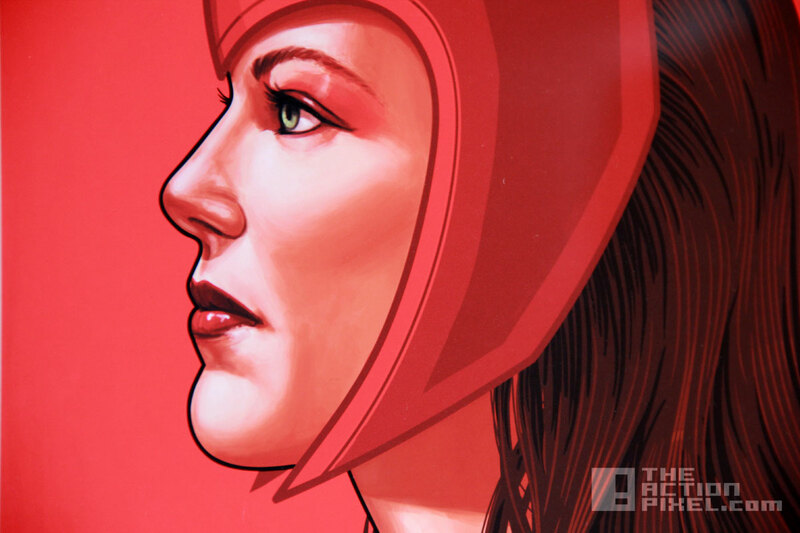 And what felt like the classic render of comic book character profiles, the art of Mike Mitchell gave a touch of the classic to the comic exhibition. Bright, classic, beautifully-crafted pieces of the Avengers gang adorned the right wing; Thor, Scarlet Witch and Ant Man seemed to be the crowd favourites. Well, not so much a crowd. The few avid fans. It was a Monday to be fair. The alter-egos have to work mundane jobs to pay the bills and keep up appearances too. 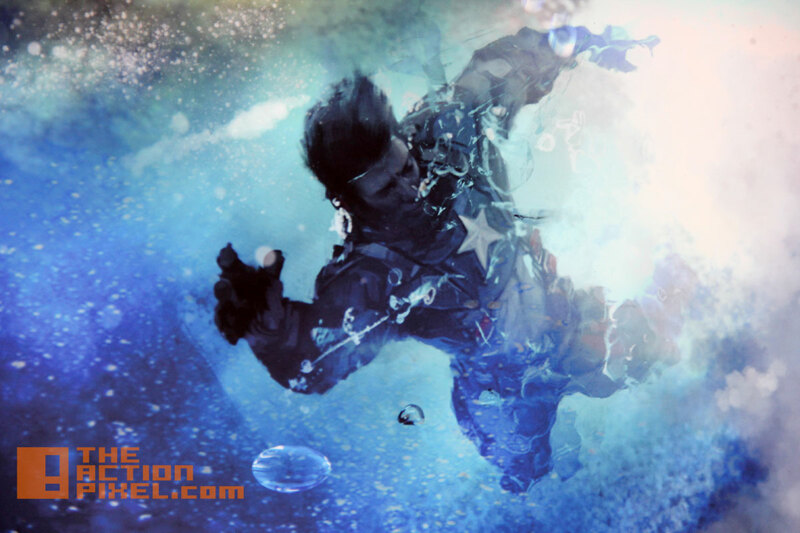 All in all, the artwork gave a great sense of how significant the creative preproduction process for Winter Soldier is. The featured artist’s renders truly set the stage for powerful, engaging imagery which ultimately became a precursor for the film’s scope, vision and direction.